First impressions shape so many parts of life, and your home is no exception. Since people spend more time looking at the inside of their home than the outside, they often spend more time and energy on interior design. For a first-time visitor to your home, however, the exterior provides a sense of what lies within. A welcoming, warm first impression really counts. 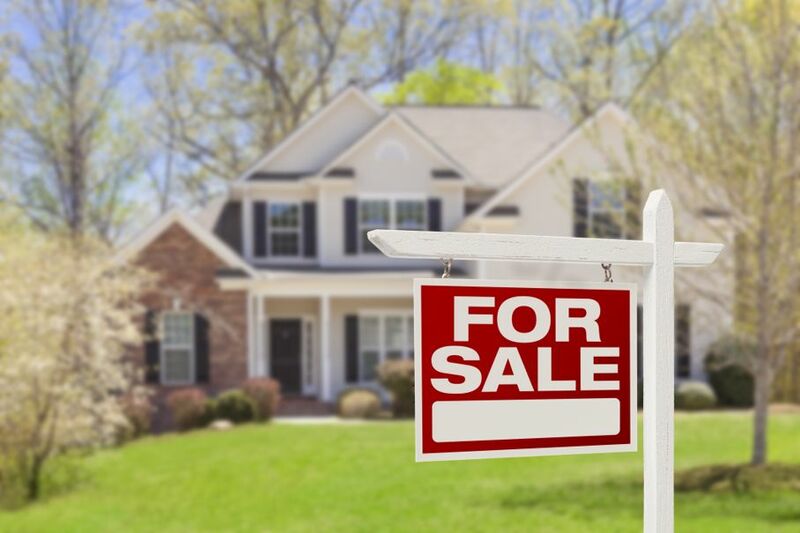 If you are trying to sell your home, paying attention to the first thing a potential buyer will see can help you find simple solutions to increase the value of your home. The first glimpse a potential buyer gets will shape their emotions going in, so this is a great way to make sure they are seeing the best your home has to offer. Even if you are not selling your home, sprucing up the exterior can make returning home at the end of a long day a more joyful experience. Your home is your sanctuary, inside and out. Take a moment to look at it with fresh eyes and ask yourself how what you see compares with what you would like to see. You may be so used to seeing your house that you don’t notice the small changes that accrue over time. Paint is a big culprit of gradual change. Once fresh and bright, it can chip and fade so slowly that it’s hard to notice at first. 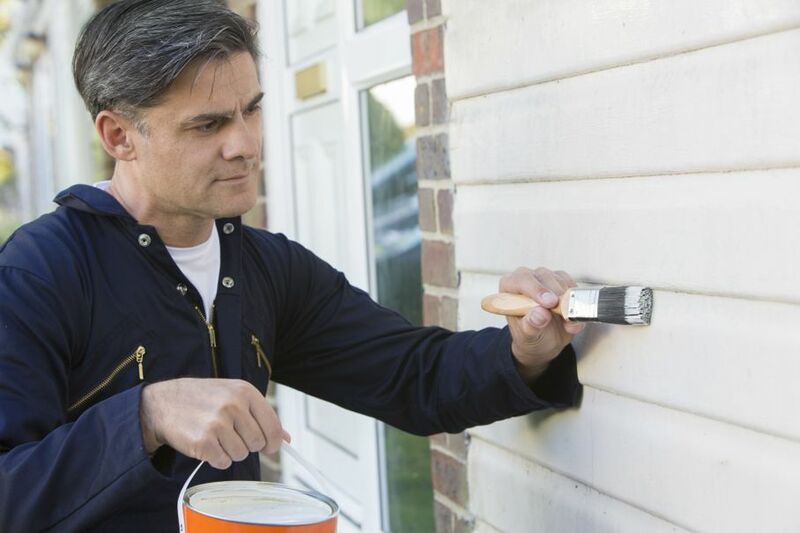 Fresh paint can make an older house look new again. Your exterior paint project will depend on your needs, you budget, and how big a project you feel like taking on. For a quick but effective touch-up, repainting the trim on your windows and doors is a great way to make the exterior of your home look tidy and new. Touching up cracks and faded areas can also improve the appearance of your home. For touch-ups, and if you are not changing the color of your trim, be sure to match the paint color carefully. Next, consider the areas around your home. Whether you have a small front lawn or an elaborate garden, you can add joy and serenity to your home by paying attention to these areas. 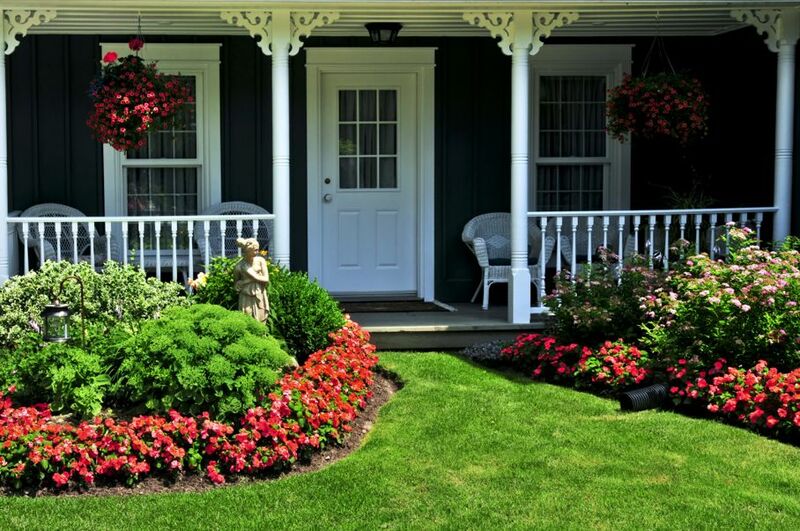 Adding plants is a great way to make your front yard a visual treat. Even if you don’t have time for extensive gardening, or have been nervous to try it, there are simple ways to add flowers and plants to your lawn that you can do with minimal time and skill. The first step is choosing the right plants for your lawn. Consider the amount of sun the plant will get, the quality of the soil, and how hardy the plant is. We also suggest planting perennials, which come back each year, if you don’t want to spend much effort. They are beautiful and you only have to plant them once. If you live in a drier climate, succulents or cacti are unique and easy. They don’t require much upkeep or water, and tend to live a long time. If you have the space and inclination, a small vegetable garden can also provide a welcoming entry to your home - and delicious food. 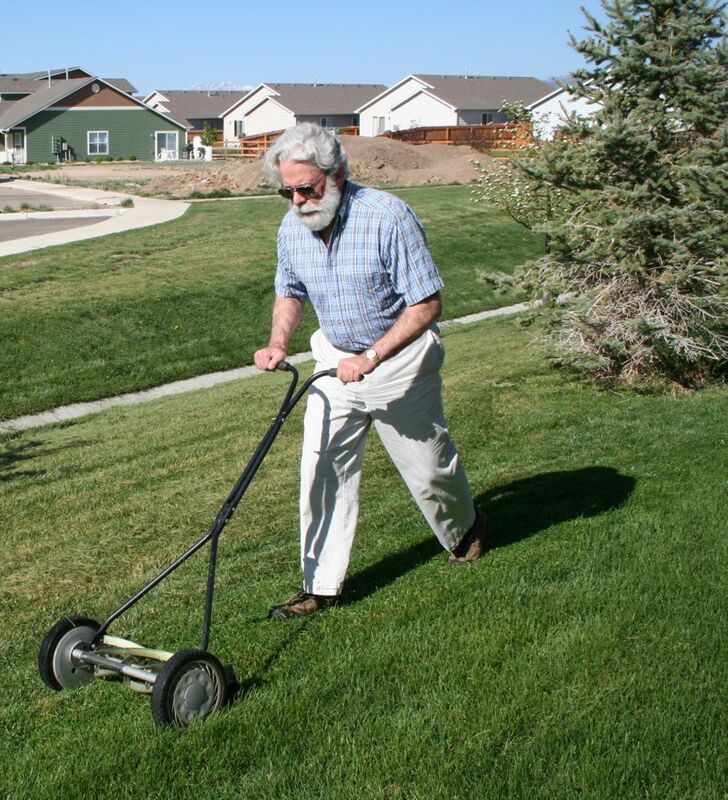 If you want to skip the plants and flowers, keeping your lawn well mowed and fertilized goes a long way. Fountains or statues can also create interesting visual effects, as can trees, shrubs, and bushes. 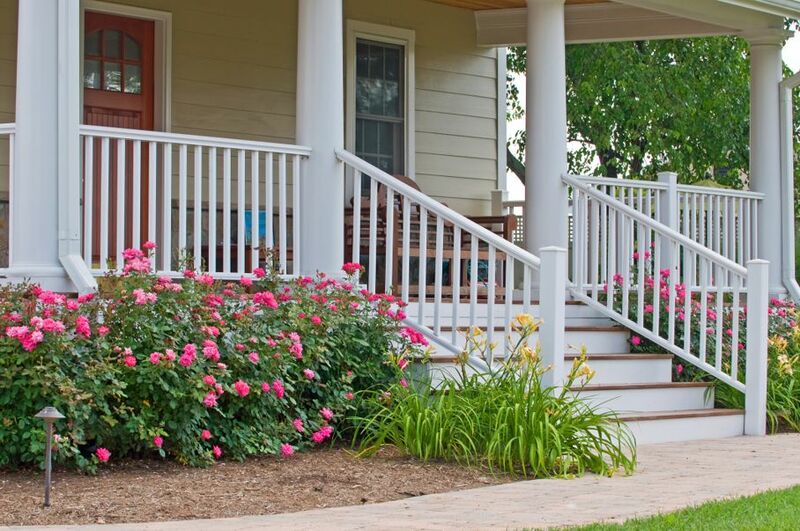 If you have a front porch or stoop, consider that area a space to welcome visitors into your home. Designer Susana Salk thinks of the porch as a transitional area between outdoors and in, and suggests that it can be a place to give guests a taste of what your home is like. As such, it should be consistent with the style and decor of the rest of your house. Placing potted plants alongside your door offers a tranquil entrance, and are easy to maintain. A porch swing or simple patio furniture is another nice touch, if you have the space. Hanging a decorative wreath on your door can brighten up your entry way as well. These simple ways of brightening up your home’s exterior can make every day more enjoyable and welcome in your family members and guests. Make your exterior more welcoming, today!.